I think at some point in my love affair with clothing I wanted to have an "effortless" looking style, but at this point I'm much happier in lots of jewelry and layers than a tee shirt and skinny jeans ("model-off-duty style!") even if it's obvious I spent a ridiculous amount of time putting it together. Consuelo Castiglioni, however, finds a place between these two that is just right -- not easy-breezy and not overkillingly detailed, just fun. The colors and prints are kind of blowing my mind and the mild pirate-beach feel is perfect for making the collection more distinguishably Spring. 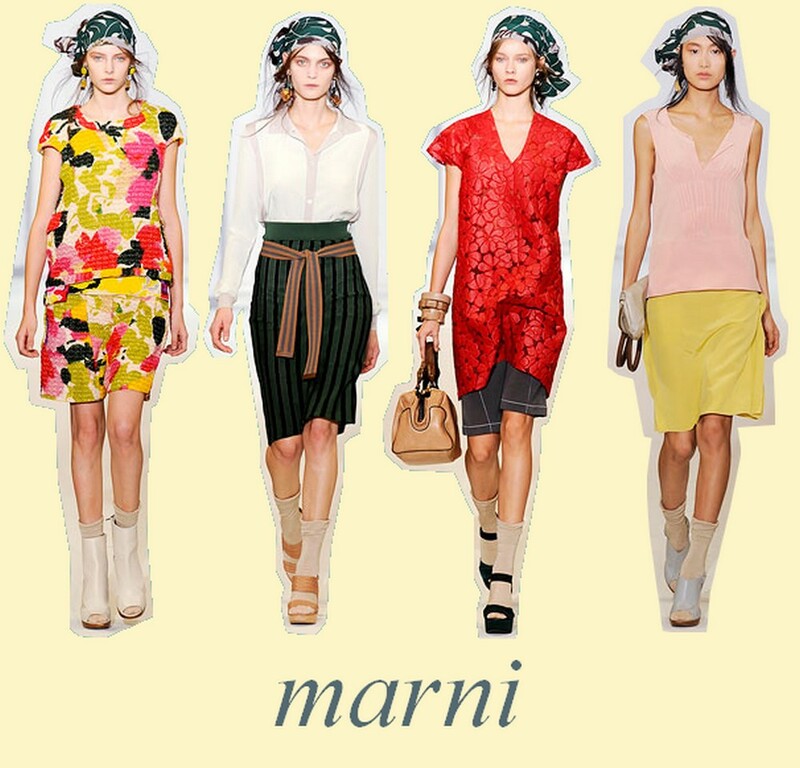 Long live the house of Marni, and long live fun!